A story of wheels, journeys and buses, work, effort and commitment. In 1993, Marc and Jos Sales took over the reins of the family-run business, and since then they have been continuing the work started by their parents Henri and Agnès Sales-Lentz. 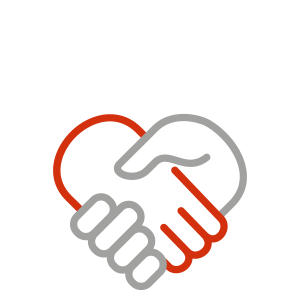 The duo complement each other as a team: they know exactly which tasks to take on and decisions are made in no time. Marc Sales, who loves coming up with new ideas and relishes a challenge, is responsible for the creative input and designing new products. He observes new trends and developments continually with a view to conquering new markets. 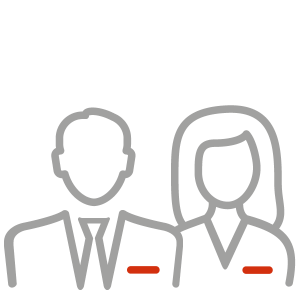 Jos Sales, on the other hand, focuses primarily on the administrative and organisational aspects. He oversees management on a day-to-day basis and injects impetus in order to optimise work processes to ensure sustainability and the company’s further development. After gaining 22 years’ experience in the insurance and reinsurance sector, François Meres joined the Sales-Lentz Group as Financial Director in February 2004. He was promoted to General Director of Administration and Finance of the Sales-Lentz Group in June 2014. After gaining experience in tourism and tour operating, Paul de Muynck joined Sales-Lentz Group in 2009. His first role was as Head of Back Office Operations.  After this, he worked as Head of the Mobility Department before he was appointed as Director of flibco.com, the airport transport service, in 2013. He became General Director of flibco.com in 2016 and now manages the organisation and all of the company’s departments. Jean-François Defour has over 25 years of experience in tourism. He has held several management roles in international groups (Accor-Carlson Wagonlit Travel, Club Med) and in various countries. He has a degree in Applied Economics from the Louvain School of Management. In 2012 he became General Director of Voyages Léonard. Born in Luxembourg as an Italian citizen, he has a Masters in Economics and a PHD in Law. After initially gaining experience in advertising and marketing, Gianni Pietrangelo found himself in the travel industry, where he has remained until today thanks to his confidence and passion. After selling his company, he managed a multinational company specialising in business travel for many years. In 2014 he accepted a new challenge within the Sales-Lentz Group, where he is the current General Director of Travel Pro American Express. After finishing his engineering degree at Manchester University, Georges Hilbert started his career at the research and development centre of Goodyear-Dunlop tyres. The completion of an MBA degree allowed him to gain experience in the European Sales and Marketing. He then further developed his skills as a technical director at Autocenter Goedert for 10 years. 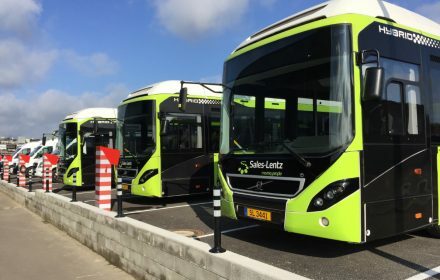 In April 2016, he joined the Sales-Lentz Group as a technical director, where he is in charge of managing the bus and coach fleet, total cost of ownership and maintenance. 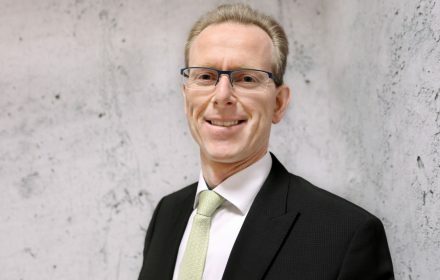 He was appointed General Director in November 2017 and is responsible for the entire fleet of vehicles, repair & maintenance, and all infrastructures of the Group. 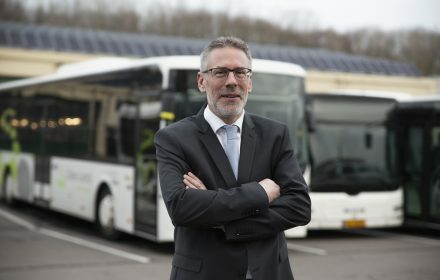 Developing the future electro-mobility solutions in public transport is among his many missions. 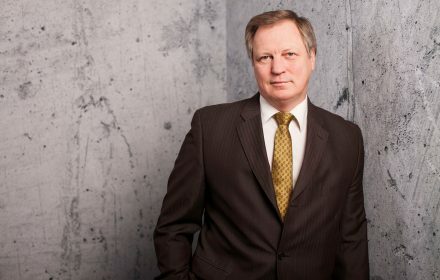 After completing his Master’s degree in environmental and business administration at the Trier University of Applied Sciences, Tobias Stüber gained further professional experience at the UCSD in San Diego, California, USA. 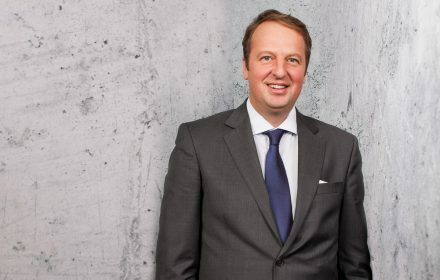 Tobias Stüber has been working in the Luxembourg labor market since 2013 and took over early management tasks. In 2012, he has worked in the newly founded Max Planck Institute as a project manager and also as a department manager in the area of Events, Services & Operations. Parallel to these functions, he also led the IT department of the institute. 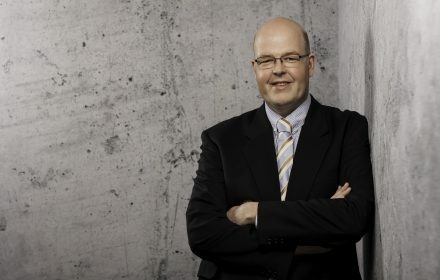 Tobias Stüber has been the general director of Flibco.com since October 2018. 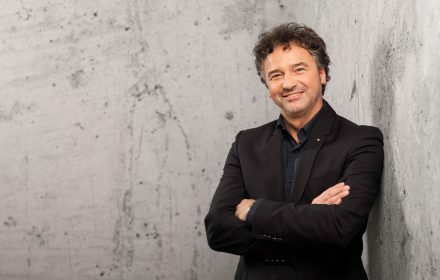 After completing his study at the EPHEC in Brussels, Fabrizio returns to Luxembourg in 1994 where he holds various sales and management positions in specialized IT companies. He then joined Deloitte as a Director in the entity dedicated to corporate advisory and consulting. 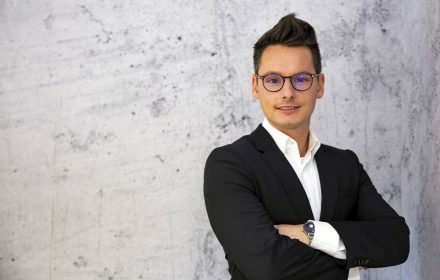 Afterwards, Fabrizio manages and contributes to develop the activities in Luxembourg of international Fintech mainly operating in the Private Banking segment. He then works for the multinational company G4S where he serves successively as a commercial and operational Director before being appointed as Director. Fabrizio Romano has been General Director of Sales-Lentz Transport since January 2019. Just as one cannot summarise the history and evolution of the human race in two sentences, it is impossible to condense all of the high points in the 60-year existence of the Sales-Lentz Group into just a few words. In the beginning, the idea was to transport people from A to B. Jos Lentz, the grandfather of Jos and Marc Sales, was a great football lover and he committed himself to driving supporters of the local team to the football grounds. At the time, there were no private associations for vehicle users, no bus lines and no travel companies. Jos Lentz was therefore a pioneer in his country. A cereals trader, he was the only person in the whole region who owned a “large” vehicle, i.e. a truck.  These small-scale “transports de supporters” rapidly became organised Sunday excursions. At the time, many older people had still never seen the sea and Jos Lentz wanted to offer them the opportunity to do so. 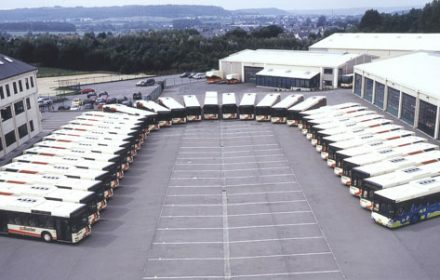 The truck’s cargo platform was fitted out to make it a bit more comfortable, and when there were no matches in the football calendar the truck would head off to the Belgian coast. The state of the roads and the lack of comfort meant that it was not possible to make the return journey within the same day.  Therefore, they would leave on Saturday, stay the night in Belgium and spend a couple of hours at the seaside before returning to Luxembourg. 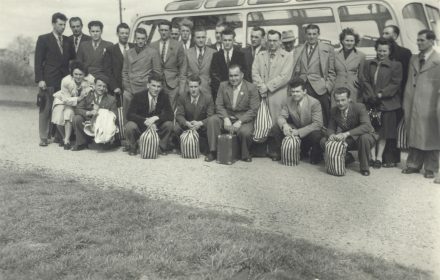 This was the birth of organised travel in Luxembourg. Opening of the 10th bus depot at Esch / Belval with an area of 2,900m2. Jos Lentz finally gave in to his customers’ requests that he should purchase a “real” bus, an authentic Bedford, so that they could travel more comfortably. To spare workers the gruelling bicycle journey from home to their workplace, in winter Jos Lentz drove them from Sanem to the factory in Differdange. 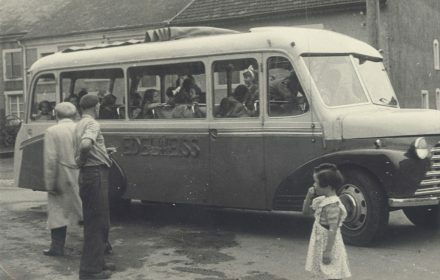 This highly appreciated service became the first official bus line in the south of Luxembourg (Clémency–Differdange). 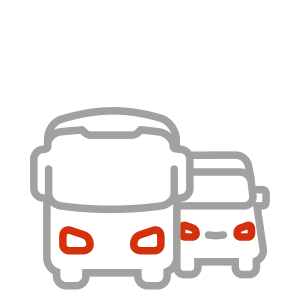 A year later, a second bus was purchased, enabling the first regular line to be opened between Bascharage and Luxembourg City. Jos Lentz’ daughter, Agnès, marries Henri Sales and thus the Voyages Henri Sales-Lentz company was born. 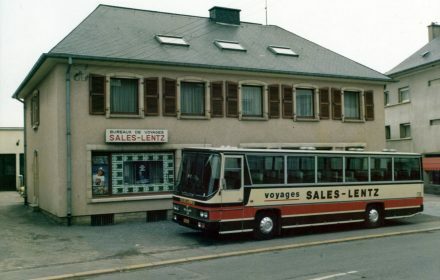 In the early 1960s, the company’s capital consisted of three regular bus lines, four coaches and an office taking care of the organisation in Bascharage. This family business rapidly became the employer of 20 staff members. 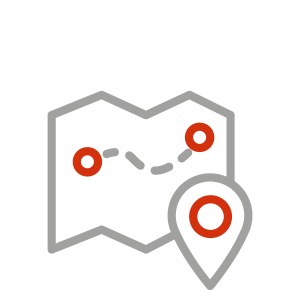 The first agency was opened in Luxembourg City. 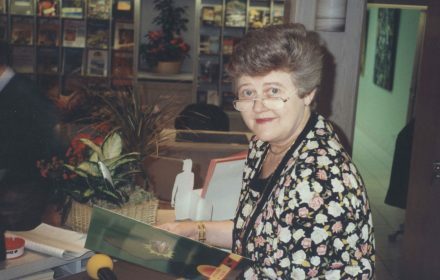 Customer contact improved thanks to the opening of travel agencies in Mersch (1979), Esch-sur-Alzette (1989), City Concorde (1995), Dudelange (1997) as well as Luxembourg-Gare (1998) and Ettelbruck (1998). 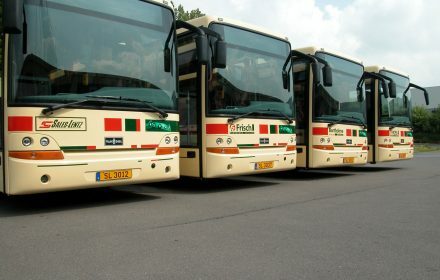 Sales-Lentz is now one of the largest bus and travel companies in Luxembourg. 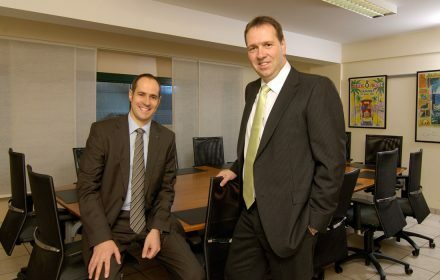 The two sons and current shareholders, Marc and Jos Sales took over the family company, leading it successfully towards the new millennium. 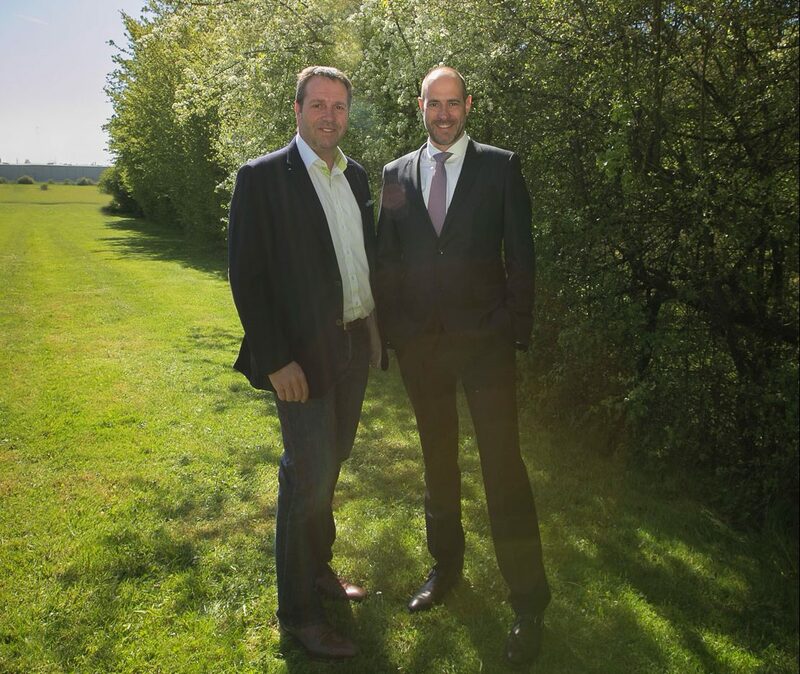 Marc and Jos Sales further paved the way by partially renewing the vehicle fleet and extending into the North of the country with the takeover of Frisch Rambrouch Autocars and Ross Troine Autocars. 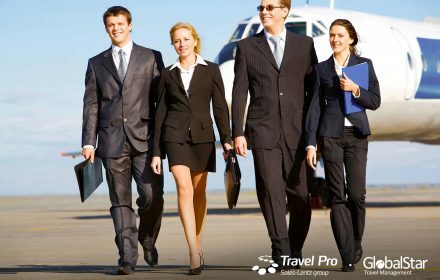 As part of its growth and diversification of services, the company’s acquisition of Travel Pro, the business travel expert, guaranteed that all customers benefitted from a service as competitive as it is professional.  easybycoach.com became flibco.com.  It was under this new name that Sales-Lentz’ famous innovation, a low-cost airport shuttle service. 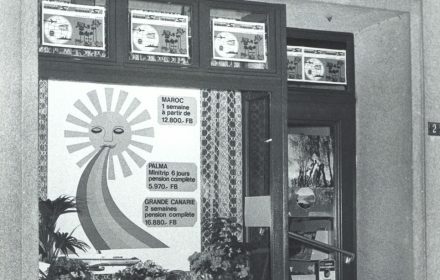 The company saw strong growth. 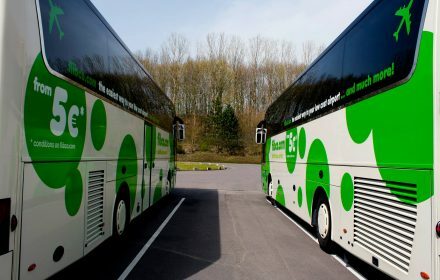 In 14 years, the group tripled its turnover; the fleet grew from 93 vehicles to 320, the number of travel agencies rose from 4 to 19 points of sale and staff numbers rose from 120 to 750. 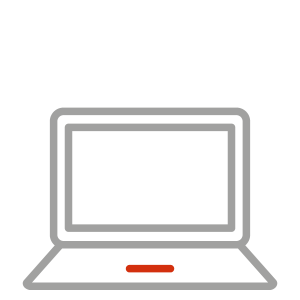 The company was able to continue on the path to success thanks to the important groundwork laid down in the early stages. Change of logo and of the C.I. To meet cosmopolitan changes in society, the company decided to adopt an English slogan with Moving People.  This was more than just a cosmetic change, since the goal was to create a strong and unique identity that all group employees could identify with, centred on a MISSION, a VISION and PRINCIPLES. 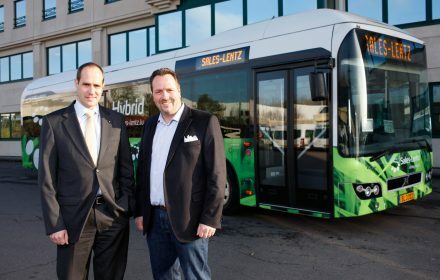 The world’s first Volvo hybrid bus was delivered to Sales-Lentz. 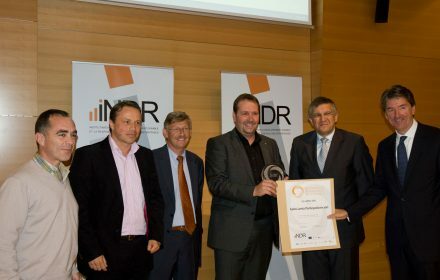 The group became one of the first companies to be labelled a Socially Responsible Business (ESR) by the Luxembourg national institute for sustainable development and social responsibility in business (INDR). This award further motivated the company to continue promoting sustainable development through innovative ideas and projects. 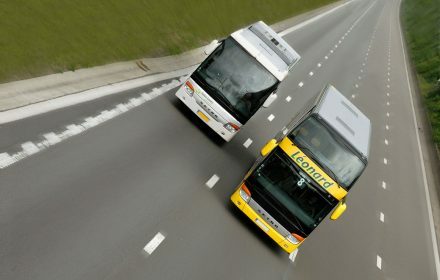 The company acquired Voyages Léonard, the French-speaking Belgian leader in coach holidays across Europe. 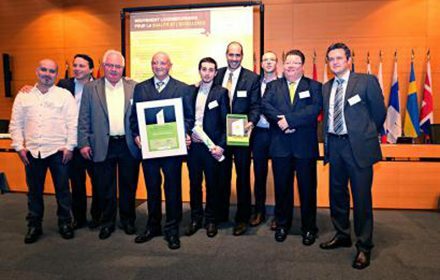 Sales-Lentz received the Luxembourg Award for Quality and Excellence. Sales-Lentz travel agencies became “We love to travel”. 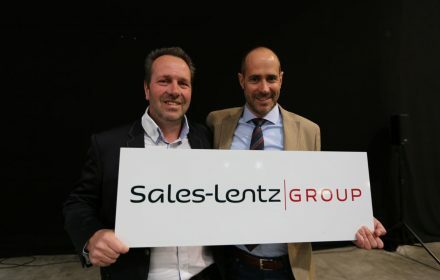 The company brought all group entities together under one banner, with the name: Sales-Lentz Group. 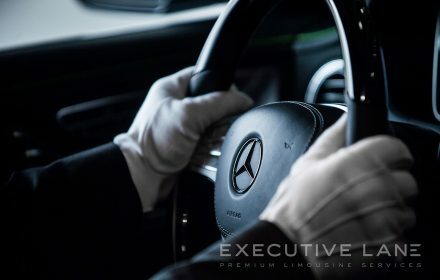 Further innovation and a market-first in the Grande Région: with Executive Lane, the Sales-Lentz Group has now added a new dimension to personal transport, with high-end limousines and concierge services delivered by Dekra D1-certified chauffeurs, the only service of its kind in Luxembourg.